Nellie Frances Cressall was born in Stepney in 1882. She worked in a laundry in Whitechapel and in 1907 she joined the it worked closely with the Independent Labour Party. Cressallwas also a supporter of women's suffrage and in 1913, she joined Sylvia Pankhurst, Keir Hardie, Julia Scurr, Millie Lansbury and George Lansbury, in establishing the East London Federation of Suffragettes (ELF). An organisation that combined socialism with a demand for women's suffrage. The group also began production of a weekly paper for working-class women called The Women's Dreadnought. Nellie Cressall was a pacifist and opposed the First World War. In March 1916 Sylvia Pankhurst renamed the East London Federation of Suffragettes, the Workers' Suffrage Federation (WSF). The newspaper was renamed the Workers' Dreadnought and continued to campaign against the war and gave strong support to organizations such as the Non-Conscription Fellowship. She served on the Food Control Committee during the war. In November 1919 Nellie Cressall was elected to Poplar Council. The Labour Party had won 39 of the 42 council seats. In 1921 Poplar had a rateable value of £4m and 86,500 unemployed to support. Whereas other more prosperous councils could call on a rateable value of £15 to support only 4,800 jobless. George Lansbury proposed that the Council stop collecting the rates for outside, cross-London bodies. This was agreed and on 31st March 1921, Poplar Council set a rate of 4s 4d instead of 6s 10d. On 29th the Councillors were summoned to Court. They were told that they had to pay the rates or go to prison. At one meeting Millie Lansbury said: "I wish the Government joy in its efforts to get this money from the people of Poplar. Poplar will pay its share of London's rates when Westminster, Kensington, and the City do the same." Jeannie MacKay, Susan Lawrence and Nellie Cressall. On 28th August over 4,000 people held a demonstration at Tower Hill. The banner at the front of the march declared that "Popular Borough Councillors are still determined to go to prison to secure equalisation of rates for the poor Boroughs." The Councillors were arrested on 1st September. Five women Councillors, including Nellie Cressall, Julia Scurr, Millie Lansbury and Susan Lawrence, were sent to Holloway Prison. Twenty-five men, including George Lansbury and John Scurr, went to Brixton Prison. 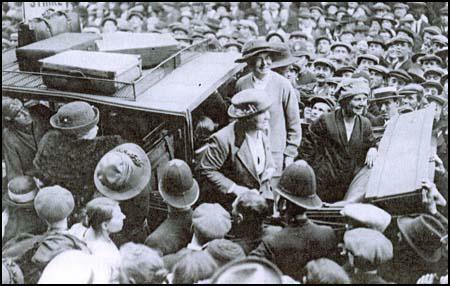 On 21st September, public pressure led the government to release Nellie Cressall, who was six months pregnant. Julia Scurr reported that the "food was unfit for any human being... fish was given on Friday, they told us, that it was uneatable, in fact, it was in an advanced state of decomposition". Instead of acting as a deterrent to other minded councils, several Metropolitan Borough Councils announced their attention to follow Poplar's example. The government led by Stanley Baldwin and the London County Council was forced to back down and on 12th October, the Councillors were set free. The Councillors issued a statement that said: "We leave prison as free men and women, pledged only to attend a conference with all parties concerned in the dispute with us about rates... We feel our imprisonment has been well worth while, and none of us would have done otherwise than we did. We have forced public attention on the question of London rates, and have materially assisted in forcing the Government to call Parliament to deal with unemployment." In the 1923 General Election, John Scurr, Susan Lawrence and George Lansbury were all elected to the House of Commons.The Labour Party won 191 seats. Although the Conservative Party had 258 seats, Herbert Asquith announced that the Liberal Party would not keep the Tories in office. 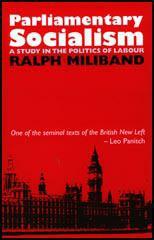 If a Labour Government were ever to be tried in Britain, he declared, "it could hardly be tried under safer conditions". On 22nd January, 1924 Stanley Baldwin resigned. At midday, Ramsay MacDonald went to Buckingham Palace to be appointed prime minister. MacDonald had not been fully supportive of the Poplar Councillors since he thought that "public doles, Popularism, strikes for increased wages, limitation of output, not only are not Socialism but may mislead the spirit and policy of the Socialist movement." George Lansbury was therefore not offered a post in his Cabinet. John Wheatley, the new Minister of Health, had been a supporter of the Poplar Councillors. Edgar Lansbury wrote in The New Leader that he was sure that Wheatley would "understand and sympathise with them in this horrible problem of poverty, misery and distress which faces them." 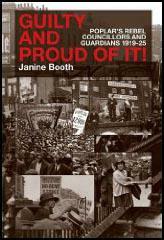 Lansbury's assessment was correct and as Janine Booth, the author of Guilty and Proud of It! Poplar's Rebel Councillors and Guardians 1919-25 (2009), has pointed out: "Wheatley agreed to rescind the Poplar order. It was a massive victory for Poplar, whose guardians had lived with the threat of legal action for two years and were finally vindicated." Cressall remained active in the Labour Party and was Mayor of Poplar (1943-44). At the 1951 Labour National Conference she made a passionate speech about the progress that had been made since the First World War: "Years ago after the First World War many, many people in my constituency sat in the dark because they had not got a penny to put in the gas. Today what do I find? People come to me creating about the heavy electricity bills they have to pay!... I have young people coming worrying me for houses.... We have got some houses where six families lived once upon a time.... Whereas in the old days people would get married, as I did, and be contented in two nice little rooms, today our young people want a home of their own.... I get very needled when I hear housewives complaining because they cannot get the best butter. In my day they never knew what it was. And did they get cow’s milk? Not on your life! ... Did they ever grumble about their meat then? No, because they only had meat once a week and that was Sunday dinner." Nellie Cressall died in 1973. Guilty and Proud of It!